In an effort to address the crisis of overfishing and illegal fishing, Belize has become the first country to launch a nationwide ‘Fishing Right’ program for small-scale fisheries. The managed access program offers a new system that empowers fishermen to conserve and protect their fishing industry, while still using its resources to provide for their families. As a result of this initiative, fishermen across the country have gathered to receive fishing licenses, and painted their vessels to match their designated fishing areas. Since 2011, the Environmental Defence Fund (EDF), along with local partners, have launched two successful trials that demonstrated how ‘fishing rights’ can reduce overfishing and illegal fishing. 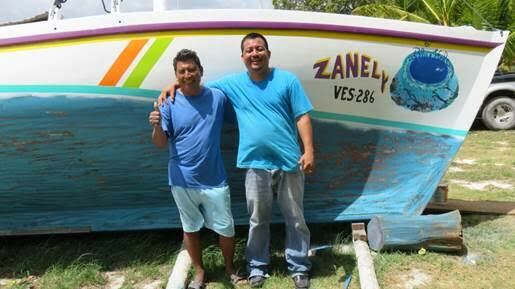 “Belize is a small country, but the impact of this new policy is global since it shines a path for other countries with small-scale fisheries. We’re already beginning to apply the lessons we’ve learned in Belize to our work in Indonesia, the Philippines and around the world,” said Amanda Leland, EDF’s senior vice president. Scientific surveys show that fishermen are now complying with regulations. Fishing violations are down 60% and more than 90% of fishermen are submitting their catch data, leading to more accountability. According to the Belize Fisheries Department, San Pedro is the only area that has not implemented the program into full effect. However, La Isla Bonita is on board, and is reaching out to fishermen to educate them on the benefits of the program. “This is not only important for San Pedro, but for all of Belize. Fishermen in San Pedro are just getting acquainted with the program, as it has the potential to replenish our marine resources, and with Managed Access, we are able to balance out the resources we have. The program also grants access to those who depend on commercial fishing for their livelihoods. When you receive your license, you are assigned two fishing locations. This was based on the idea that whenever people feel ownership to an area, they take better care of the place,” said Hol Chan Marine Reserve Manager, Miguel Alamilla. From Australia to Belize, Chile to Denmark, and Namibia to the United States, sustainable fishing management is creating healthier oceans that support more fish, feeding more people, and improving livelihoods.